The site occupies an important position in the local geography around Union Square. Located at the beginning of Irving Place, on axis with Gramercy Park and Lexington Avenue beyond, it is a hinge on the edge of downtown and the neighborhoods to the north. 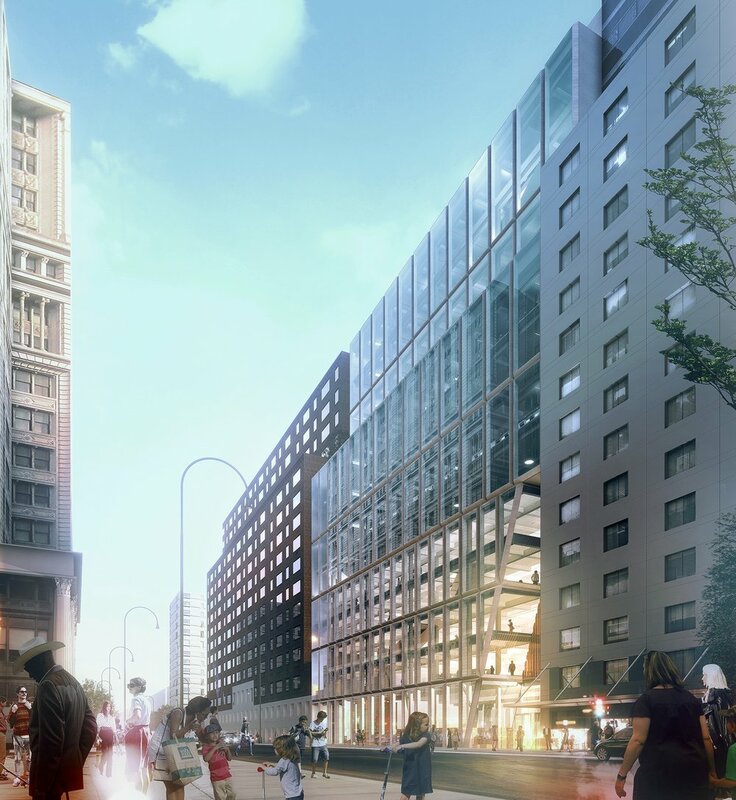 Irving Place runs north six blocks from the site to the center of Gramercy Park, and presents an opportunity to bring the street into the building as new civic space. Our proposal utilizes this potential to create an area of activity called the Alley. The Alley is a space for the city, a slice at the western edge of the site where the building will pull away from the property line to allow pedestrians to slip into the public market hall and exterior terraces. 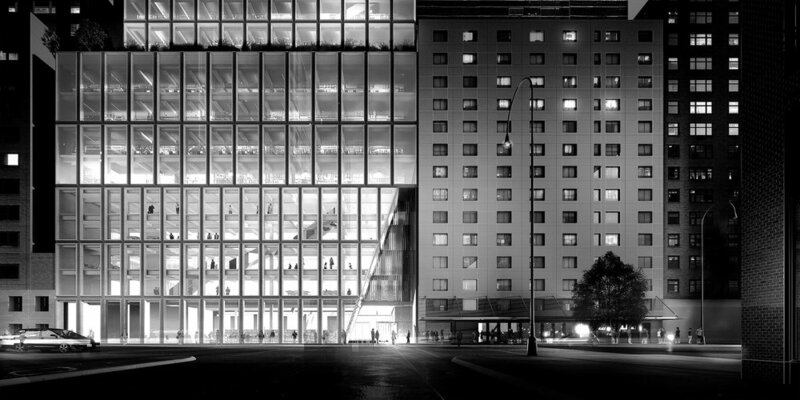 By opening up this space, the building also gains a western facade that allows views toward Union Square from the community facility. 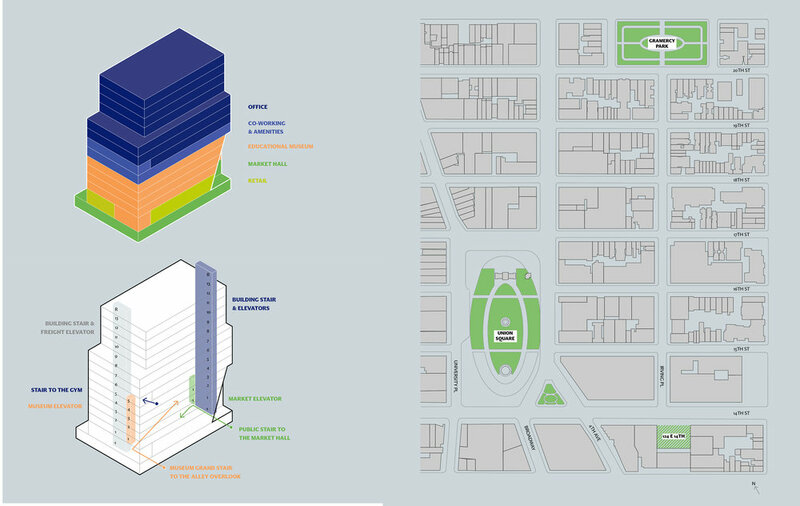 Located in Silicon Alley, the site is the heart of an evolving territory which stretches from Soho to Astor Place to Union Square and up to Madison Square. The various incubators, work spaces, and companies whose offices’ define this trajectory support job creation throughout the City. Irving PL.U.S. 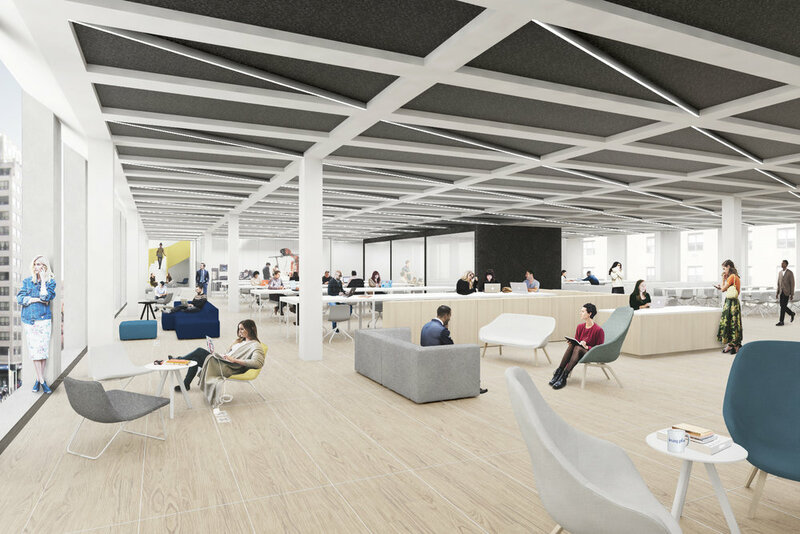 will play an important role in this ecosystem by creating office spaces in a building that is designed to be open to the neighborhood community as well as supportive of both formal and informal working arrangements. In addition, the site is also at the heart of a vibrant neighborhood community of families and students. The lower levels of the building are a tightly knit cluster of retail spaces, market hall, and community facility space anchored by our educational museum program. Part buttoned up workplace, part community and educational amenity, and part spontaneous meet-up venue; Irving PL.U.S. strives to generate sustainable communities within and outside of its walls.